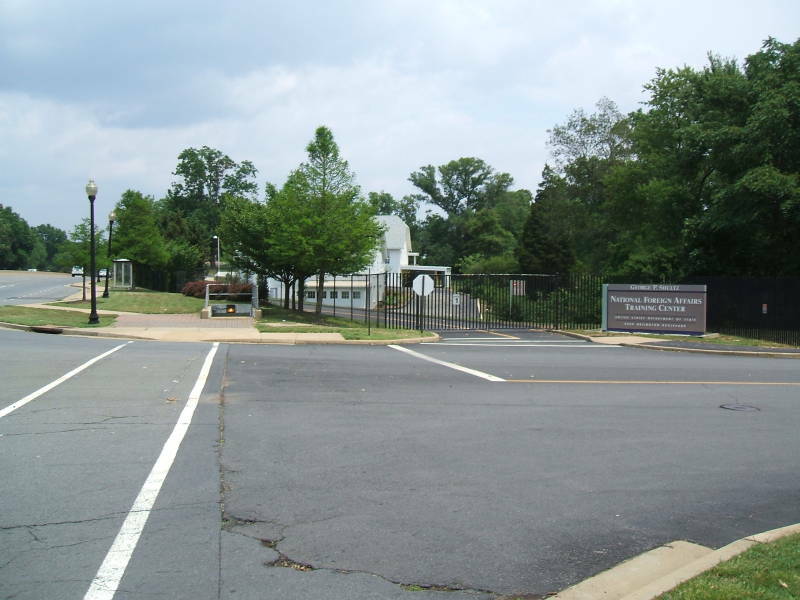 During World War II, the U.S. Army's Signal Intelligence Service took over a girl's school in Arlington, Virginia, in an area then outside the Washington metropolitan area. Arlington Hall Junior College for Girls opened in 1927 with a 100-acre park-like campus on the outskirts of Washington, D.C. It was a sister school to Sullins College, an exclusive finishing school for girls in Bristol, Virginia. Arlington Hall provided a genteel education for a select clientele of young ladies. It offered courses in music, art, and dress, in addition to home economics and secretarial skills. Its noted equestrienne club used its indoor and outdoor riding arenas. The Great Depression forced its founder to declare bankruptcy and turn the school over to a board of trustees in 1934. However, the school continued to grow in prestige and size, reaching a maximum enrollment of 202 students in early 1942. Meanwhile, World War II had broken out in September, 1939, and the U.S. had entered the war with the Japanese attack on Pearl Harbor in 7 December 1941. U.S. Army signal intelligence was being carried out by the Signal Intelligence Service (SIS) and its operating arm, the 2nd Signal Service Battalion. The entrance and some of the former girls' school buildings of Arlington Hall. SIS was based in the Munitions Building in Washington, formerly located at 19th and Constitution Ave. It quickly outgrew those quarters. In April, 1942, a group of officers was returning to Washington from an inspection of a proposed radio monitoring site near Warrenton, Virginia. They happened to notice Arlington Hall. SIS took over Arlington Hall and made it the headquarters for attacks on Japanese cipher systems including PURPLE. It was reasonably convenient to the new radio intercept site at Vint Hill Farms near Warrenton, Virginia, and just four miles from Washington. By 24 August, an alarm-wired double chain-link fence surrounded the new post, and a badge system controlled access. The National Security Agency was founded in 1952, and it was originally based at Arlington Hall. Its headquarters moved from Arlington Hall to Fort Meade, between Washington and Baltimore, in January 1955. 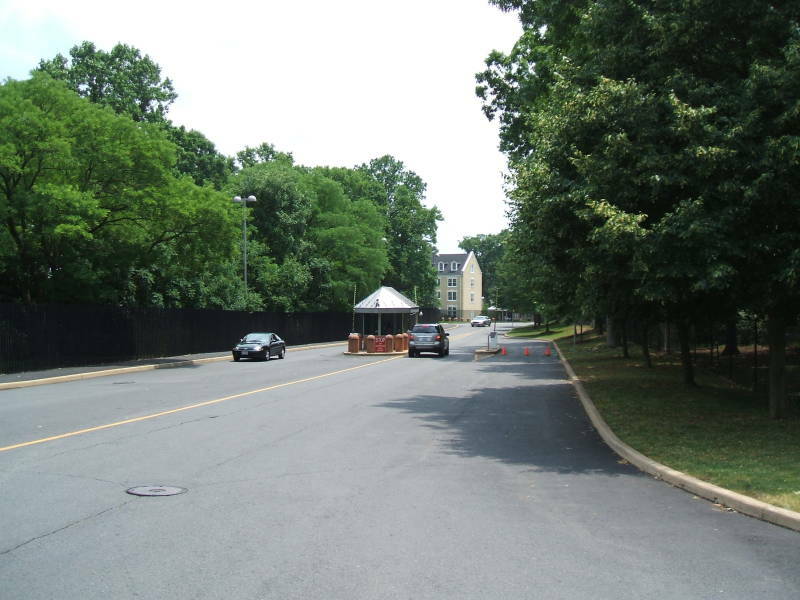 NSA components moved from Arlington Hall to Fort Meade from then through 1958. The Defense Intelligence Agency was formed by Robert McNamara in 1962. Its headquarters was at the Pentagon, and it was alloted space in Arlington Hall's Buildings A and B. The entrance and sign for the George P. Schultz National Foreign Affairs Training Center. The college trustees were willing to turn the school over to the War Department for the duration of the war. But the War Department wanted permanent control, and secured the property through a court-imposed settlement of just $650,000, less than the college's asking price and barely meeting the school's martgage obligations. Construction started almost immediately on additional buildings, and by the end of the war in 1945 there were about 5,700 civilians, 650 military officers, 600 enlisted men, and 1,000 WAC's working at Arlington Hall six days a week around the clock. By the early 2000's it had been unused for SIGINT for many years and was by mid-2007 (when these photos were taken) primarily a training center for the U.S. Department of State — the George P Shultz National Foreign Affairs Training Center (NFATC). HEY, YOU!!! DO NOT TAKE PHOTOGRAPHS!!! Ah, America the confident, where photography of the signs in front of diplomatic schools causes panic and screaming. Why am I reminded of warnings about travel to third-world failed states run by paranoid thugs, where you are warned not to photograph the post offices or minor bridges and overpasses, lest the security apparatus panic and imprison you? Sadly, this is not the only time I have experienced American paranoia. continuing south to where Glebe crosses Arlington Boulevard. Arlington Hall is at the southern quadrant of that crossing. Also see the article "Forty One and Strong: Arlington Hall Station" in Cryptologia, 9:4, 306-310, 1985, which is a reprint from INSCOM Journal, the unofficial Command Information publication of the U.S. Army Intelligence and Security Command, Volume 6, Number 6, June 1983, pp 7-12.